Russia and the Slavic countries are said to be monster-ridden hell-holes. Perhaps, but the indomitable human spirit has risen from the chaos to challenge their claims to human lands. The Warlords might be described as part barbarian, part animal and part machine, for it is through the technological sorcery of bionics that the Warlords and their cyborg hordes dominate the land. 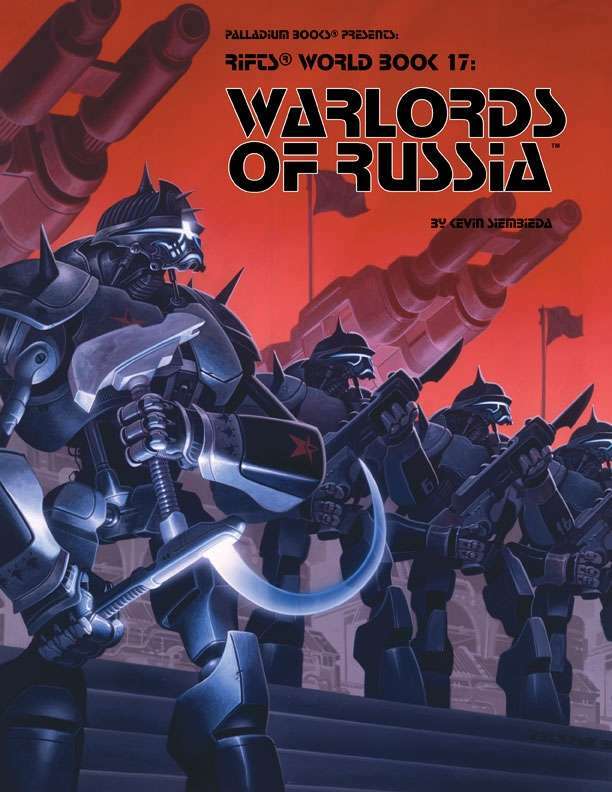 The Warlords of Russia, their armies and politics. Cyborgs like you've never seen 'em before. The Sovietski, their war machines and history. New O.C.C.s like the Hero-Knight & Ecto-Hunter. Tons of world information and adventure ideas. Written by Kevin Siembieda and Kevin E. Krueger. Art by Perez, Breaux, Johnson and others.